I would like to construct the spiral that you can see at the Mercedes Benz Museum. Unfortunatly I do not know how to construct the spiral ramp with grasshopper. 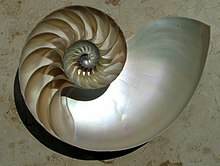 Maybe someone can helo me to construct the main curve for the spiral or help me with the logic? From what I understand you want to replicate an existing geometry. Why using Grasshopper ? Grasshopper is useful for parametric studies, what are the parameters ? Why Rhinoceros is not enough ? Did you search for all drawings ? Mercedes Benz Museum, Sttutgart. To embody movement, the raison d’être of the automobile, is the central theme of this museum. Germany 2002. I asked for some more explicit formulation for the spiral, for example some mathematical definitions or something like that. Of course I already did my search. Grasshopper beacause I need it more explicit. You better ask the architech who did the building !!! I sometimes recreate things from image, the best advice I have is : find some 3 view of the building and build it in Rhinoceros. Or look at this video ! !